Sunset Village, located on the near west side of Madison, is a “popular, cozy neighborhood nestled on tree-lined streets with rolling hills and panoramic views”. 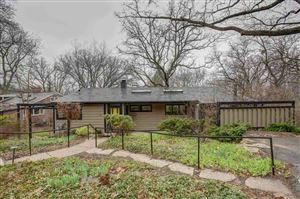 Close to everything including the Hilldale Shopping Center, Sundance Cinemas, great eateries, Shorewood Hills Shopping Center, and numerous groceries in the area. Easy access to all things Madison, this neighborhood is bordered by University Ave, Mineral Point Road, and Midvale Blvd, and close to both Downtown and the Beltline! Want to know more? Read up on how this neighborhood came to be named “Sunset Village” and the history behind it all. See all Sunset Village Homes For Sale.